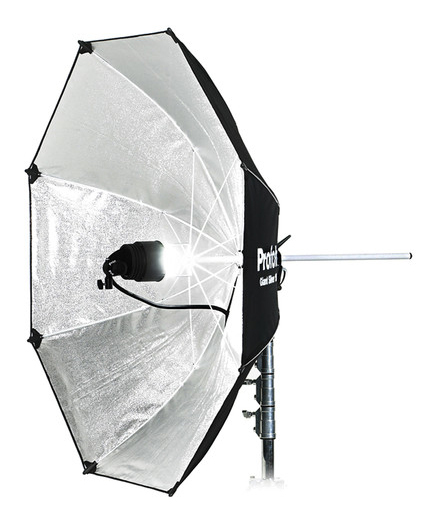 This silver umbrella reflector provides a hard light that is also soft. It is hard light because of the surface of the reflector. It is soft because its size, in relation to your subject, is large enough to be considered “wrap-around” with distinct, crisp highlights. This light modifier rents for $55/day or $165/week. The Giant Reflector has two focusing positions. Select the wide position for 100° light spread from your Profoto flash head. Select the narrow position to provide a bright spot with vignetted falloff. Your work will look cooler than you ever thought possible . . .